The e-book and related special reports for A Better Life for Half the Price, by Tim Leffel. 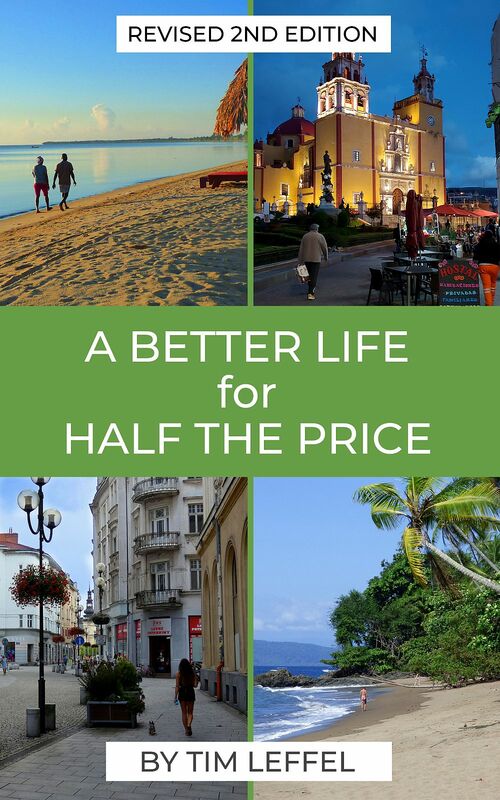 A Better Life for Half the Price: How to prosper on less money in the cheapest places to live. A robust e-book of 300+ pages full of detailed advice, interviews with 50+ expats living the dream, and detailed pricing information for 18 of the cheapest places to live in the world. Full of resources for individual countries as well as overall resources for more info on moving abroad. Free download the book in your favorite e-reader format if you would like.